Spider-Man 3 made it all too easy for detractors to focus on what Sam Raimi got wrong in bringing the web-slinger to the big screen. That is unfortunate, seeing as how he had a relatively solid track record up to that point. The first Spider-Man film kicked the superhero revolution into high gear, proving the genre’s appeal to be much broader than anyone had previously thought. Spider-Man 2 is arguably the greatest film of its kind ever made. Yet, even those films had their share of missteps. Among the more nonsensical decisions made was to cover up William Dafoe’s wonderfully expressive face with a plastic mask/helmet hybrid. That design ran contrary to the one in the comics, where Norman Osborne sported a close fitting rubber mask more akin to something out of Mission: Impossible. Some recently released test footage shows that there was, in fact, a preferable alternative. 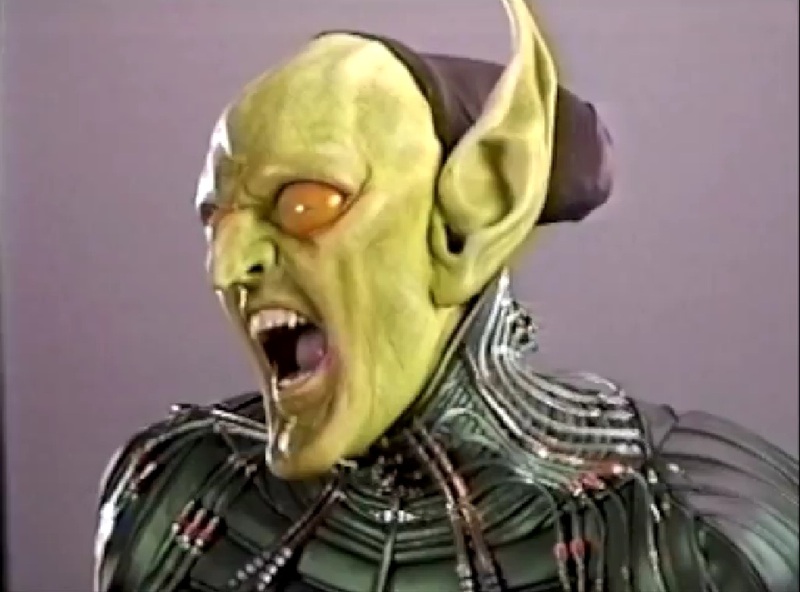 Unable to convincingly replicate the “rubber mask” effect of the comic, Raimi initially considered having Osborne’s physical appearance change as a result of the performance enhancing chemicals. 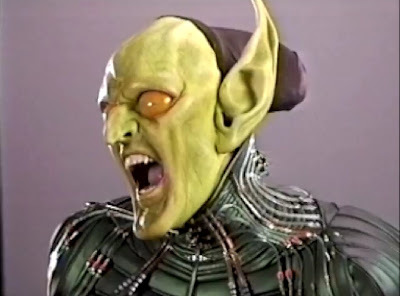 Raimi had a team of make-up artists visualize this concept, and the results harken back to his low-budget horror roots. The design is reminiscent of the candarian demon from Evil Dead 2, sans the gaping grimace with multiple rows of teeth. 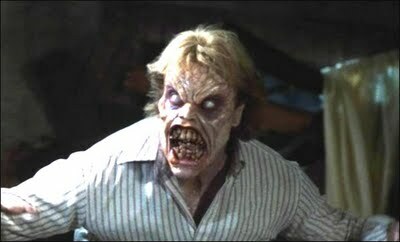 Candarian demon from Evil Dead 2. Many of the creature designs from Riami’s Evil Dead films favored bulbous eyes with no pupils. That motif is repeated here. Otherwise, the eyebrows, jaws, and mouth have full range of motion. The combination is suitably creepy. Why Riami did not go this route is anyone’s guess. It feels much truer to his sensibilities, and would have allowed audiences to connect with the character of the Goblin much better. Instead, they got a green power ranger.